Hermann Wolf was born on 27 December 1919 at Frankfurt am Main. Wolf was transferred from Ergänzung-Jagdgruppe Ost to JG 52 on 1 May 1942. Unteroffizier Wolf was assigned to 9./JG 52. He recorded his first victory on 22 May. He recorded his 10th victory on 27 August, his 20th on 13 September, his 30th on 22 March 1943, his 40th on 9 July and his 50th on 22 November. On 27 February 1944, Fahnenjunker-Feldwebel Wolf was transferred to Ergänzung-Jagdgruppe Ost to undertake instructional duties. He was promoted to the rank of Leutnant on 1 March. Wolf was appointed Staffelkapitän of 4./JG 11 based on the Western front on 8 July 1944.  On 11 August 4./JG 11 was redesignated 8./JG 11. Wolf was shot down on 14 August and again on 1 January 1945. On 22 March 1945, Wolf was transferred to III./EJG 2 to undergo conversion training on to the Me 262 jet fighter. Following completion of his conversion training, he was posted to III./JG 7 on 21 April. 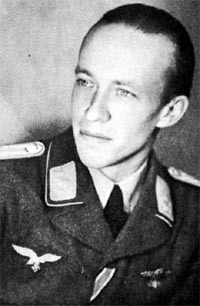 Leutnant Wolf was awarded the Ritterkreuz on 27 April. Hermann Wolf was credited with 57 victories in 586 missions. He recorded 54 victories over the Eastern front.